Herbst will receive a prize of $250 from the North Carolina Writers’ Network, and her story will be published in the North Carolina Literary Review’s 2015 issue. Herbst also won this year's Rose Post Creative Nonfiction Competition for her essay about breast cancer. Herbst has a master's degree in creative writing from North Carolina State University and has published fiction in such venues as The Sun. Her nonfiction has been published in, among other publications, The New York Times, the Raleigh News & Observer, and Popular Science. She lives near Chapel Hill with her husband, where she is at work on a novel set in the imaginary village of Mobenga. According to Herbst, “The Cliffs of Mobenga” was inspired by her experience as a Peace Corps volunteer and a Fulbright scholar in West Africa. She says her stories are rooted in the moral and imaginative nourishment she received from villagers in Togo. Wieland has also invited two finalists from the 2014 competition to revise and resubmit their stories for publication consideration, “World Without End” by Taylor Brown of Wilmington and “Big Joy Family” by Jude Whelchel of Asheville. Regarding Whelchel’s story, Wieland said, “‘Big Joy Family’ weaves past and present, infants and the elderly, Chinese and American culture into a moving and expansive story that poignantly captures our lives today: messy and crowded with birth and dying, sacrifice and love, punctuated by moments of intense sadness and profound illumination.” Whelchel also recently shared first place for the Network’s Thomas Wolfe Fiction Prize. In all, ninety-seven stories were submitted to this year’s competition. Five other stories were named as finalists: “Developments” by Malinda Fillingim of Leland, “The Box-Maker” by Michael Gaski of Greensboro, “A Donor Heart” by Charles Higgins of Hillsborough, “Thirteen Deer” by Chris Verner of Salisbury, and “Breathing at the End of the Light” by Hananah Zaheer of Durham. The annual Doris Betts Fiction Prize honors the late novelist and short story writer Doris Betts, and is sponsored by the nonprofit North Carolina Writers’ Network, the state’s oldest and largest literary arts services organization devoted to writers at all stages of development. For additional information, visit www.ncwriters.org. 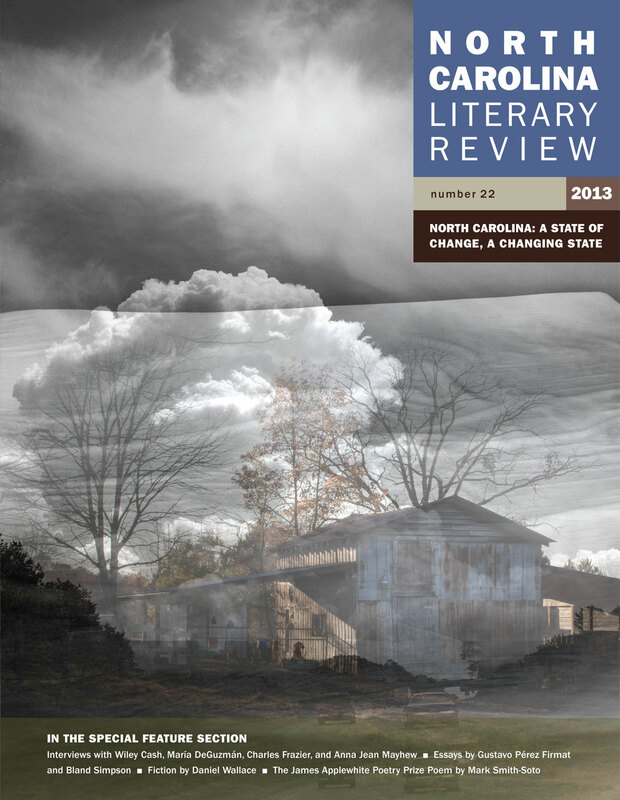 Published since 1992 by East Carolina University and the North Carolina Literary and Historical Association, the North Carolina Literary Review has won numerous awards and citations. Fiction Editor Liza Wieland is the author of three collections of short stories, three novels, and one collection of poetry. Her fourth novel, Land of Enchantment, will be published by Syracuse University Press in spring 2015. A two-year subscription to NCLR will include the 2014 issue, featuring the winner from the 2013 Betts competition, as well as the 2015 issue, featuring Herbst’s winning story from this year’s competition. Go to www.nclr.ecu.edu/subscriptions/ for subscription instructions, and subscribe by June 1 to avoid postage charges.